Macbooks , Macbook Pro, Dell XPS, Google Pixel, Lenovo Yoga 910, HP Spectre, Asus Zenbook 3 and many more. What is Power delivery PD? 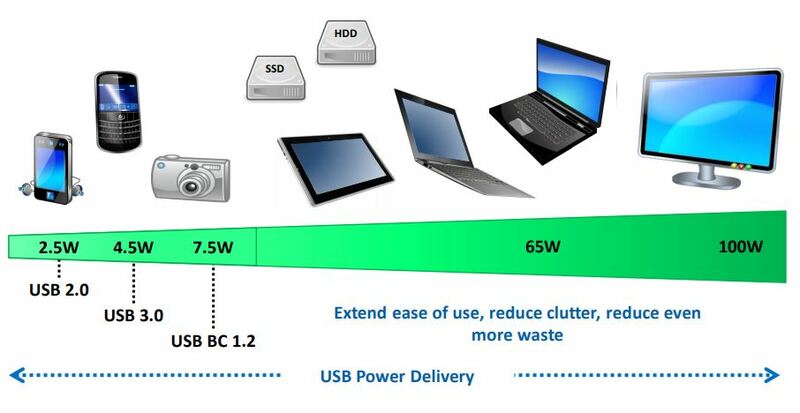 PD Power delivery is the transfer of power across a USB cable to charge a device. As you aware you can charge your phone, power bank, camera, Bluetooth speaker, portable headphones and more. Some devices require much more power such as your Laptop or monitor. To charge high power devices look for a mention of PD power delivery but also consider the watts that are delivered. The higher the watts the more power is delivered to your device. For example some laptops require only 30 watts to charge them. Models such as the Macbook. However the Macbook pro 15" will require 90 watts or higher to charge it. While some lower wattage chargers will charge your laptop they might not if the laptop battery is at 0%. Or they might charge but not increase the % on the battery. 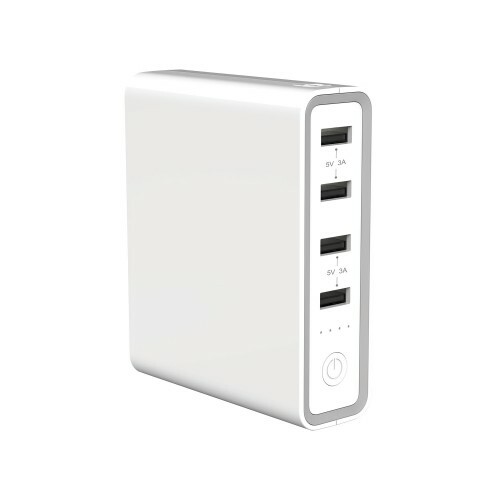 To successfully charge most USB-C laptops you will require a 40 watts or higher PD power bank. 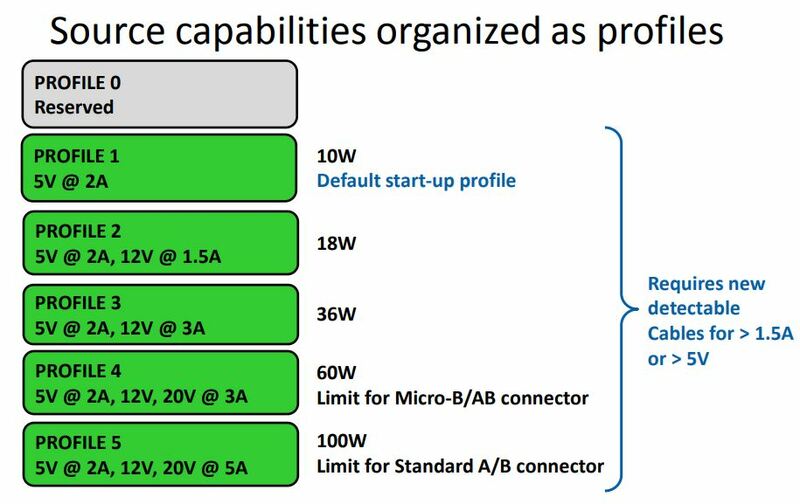 Quick charge is arguably identical in functionality to Power Delivery however Quick Charge is not locked into the 4 voltage types of Power Delivery ie 5V, 9V, 12V and 20V. Quick Charge voltage can range between 3.6 V to 20 V and everything in between - in 200 mV increments. Together with added intelligence, Quick Charge can better detect the optimal charging voltage and current requirements of a connected device. Such sophisticated design however is mostly found in high-end smart phones and tablet devices, as opposed to such devices as Digital Cameras, Portable Hard Drives, Notebooks, Printers and TV’s. Both use a USB connection socket for charging however each device, charger and charging cable needs to support either type of charging method in order to operate and charge effectively and efficiently. The 20,000mAh 74Wh USB-C Power Bank is the portable power bank suitable for charging your USB-C laptops whilst away from your desk. Great for extending your laptop battery life in the café, outdoors or on the road. The high capacity power bank will also charge your phone, tablet or other portable devices, keeping your devices charged wherever you are. It includes 2 bonus cables: USB to C and USB to micro to help get you going. Can you bring your portable charger onboard?